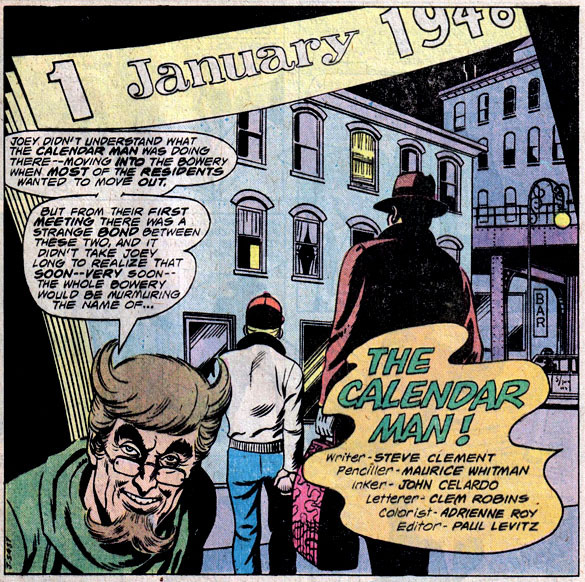 *His birthday is also on November 29. 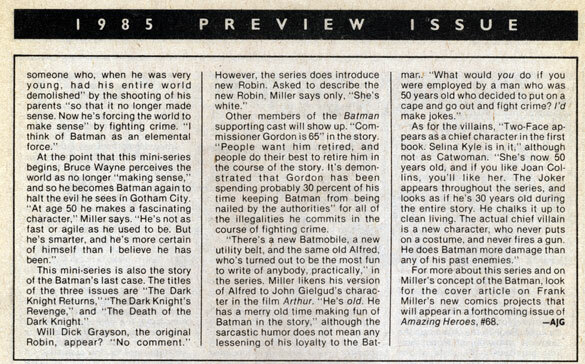 "Batman wants ice cream" "Falcon ruins another New Year's Eve party" "Avengers Astonished to realize Bendis no longer writing them"
Part of the pleasure of reading all those DC comic books last year in search of Alfreds was discovering the wonderful art of DC House Adsyou know, the in-magazine advertisements promoting their comics and characters. 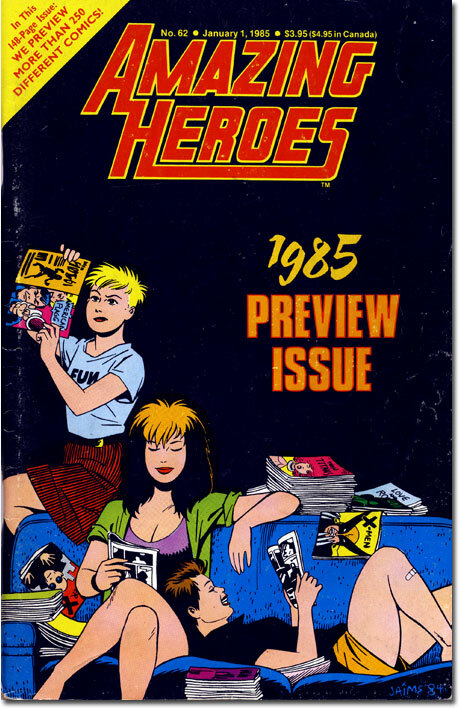 Sure, in my humble little stuffed opinion, Marvel always had the better comic books (your mileage may vary!) 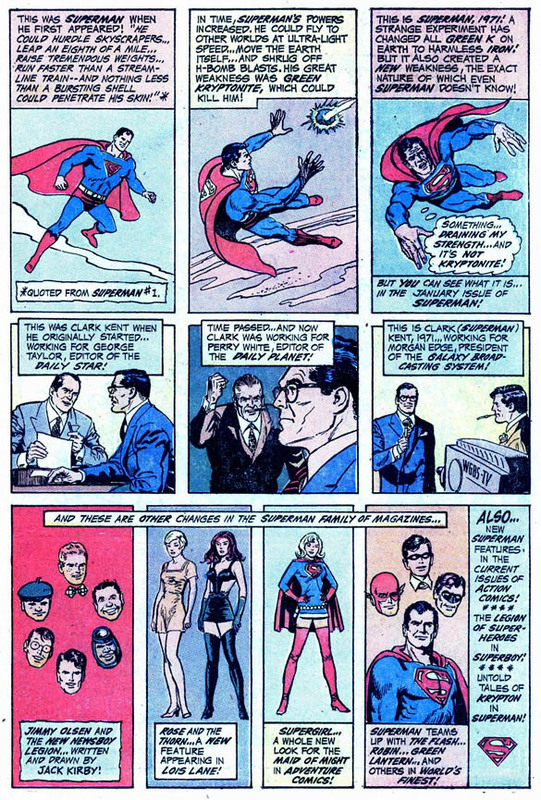 but DC definitely, a Power Man/Iron Fist ad or two aside, had the better house ads, especially those gorgeous silver age pages that looked and read like a circus or carnival broadside. 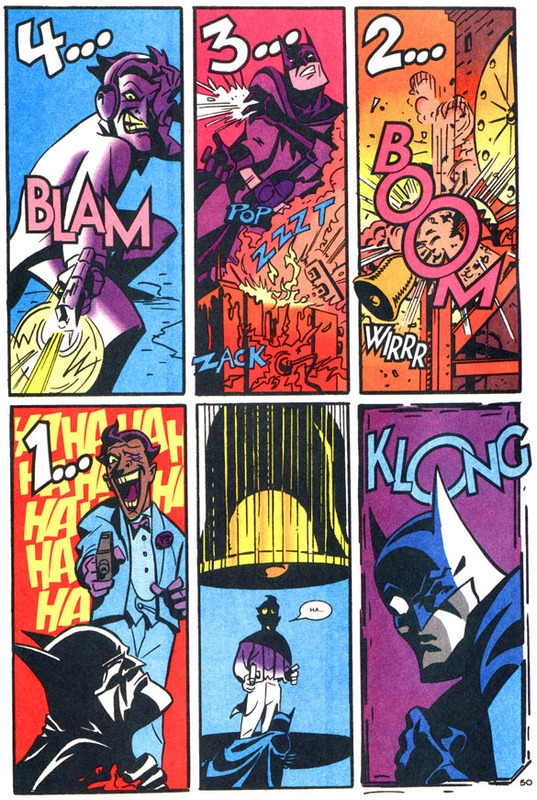 (I'm especially thinking of the "Just one second!" 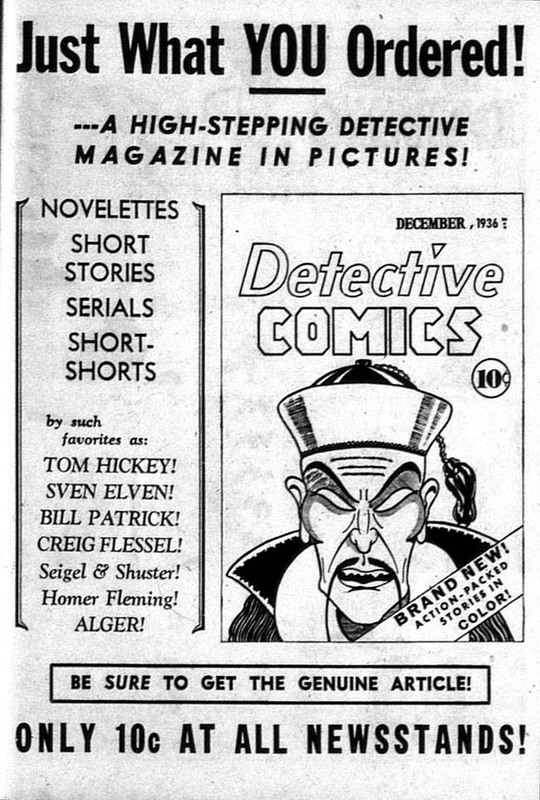 ad for The Flash, which I'll be spotlighting sometime this month. 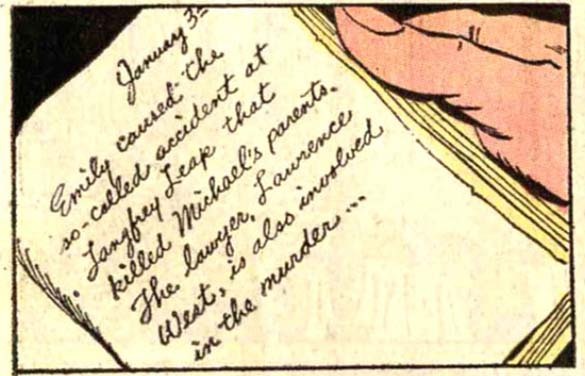 You'll also find this year ads heralding the (doomed) DC Explosion, weird subscription forms, the complete stats on Miss Lois Lane (age: 22; weight: 121; ambition: to become Mrs. Superman), "Betcha can't stop at one page," The Big Eight (and Seven, and Six), "Will Robin die tonight? 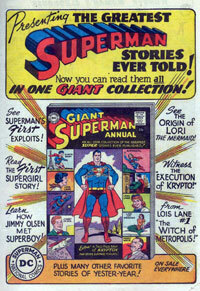 Only you can decide!," Jerry Lewis meets Wonder Woman, "Aquaman is dead! 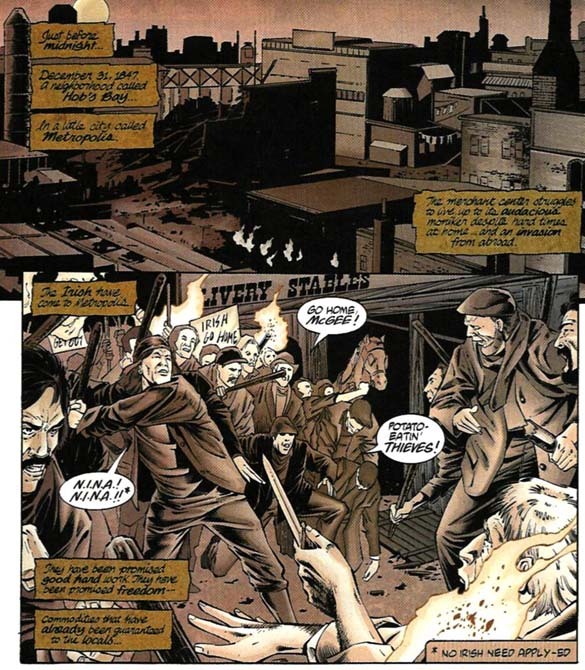 Why?," "They're deadlier than being kicked by a roasted chicken!," "Worlds will live, worlds will die, and the DC Universe will never be the same again!," "It begins with the shreds of a costume and it ends with a single teardrop!," "Here is the heroine thousands of DC readers have been requesting for years!," "Just Imagine...!," "100 Pages for 60¢!," "Will he save the West...or destroy it?," "This famous symbol is your guarantee of the best in comics reading!," ...and Go-Go Checks a-plenty! 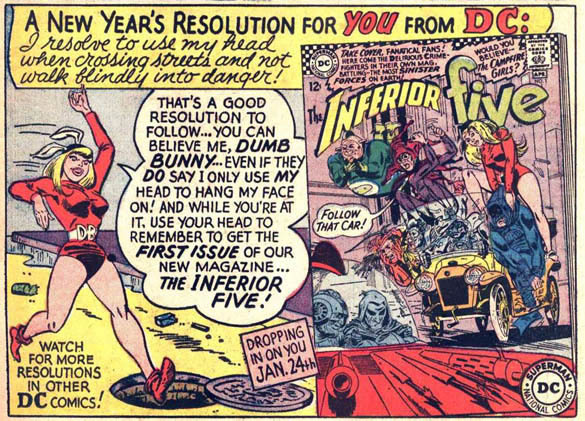 You're in for a Definitely Crazy 2013! 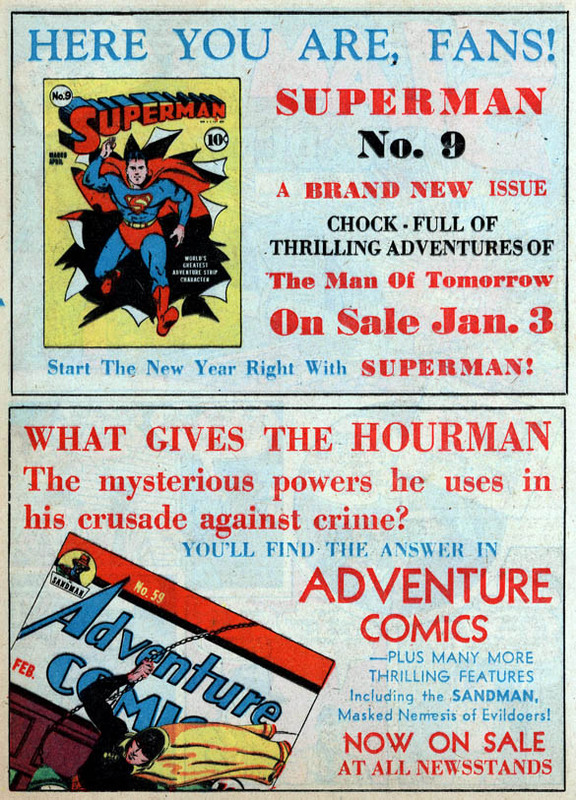 But let's start (sorta near) the beginning with one of the earliest house ads for the magazine that gave DC its name. 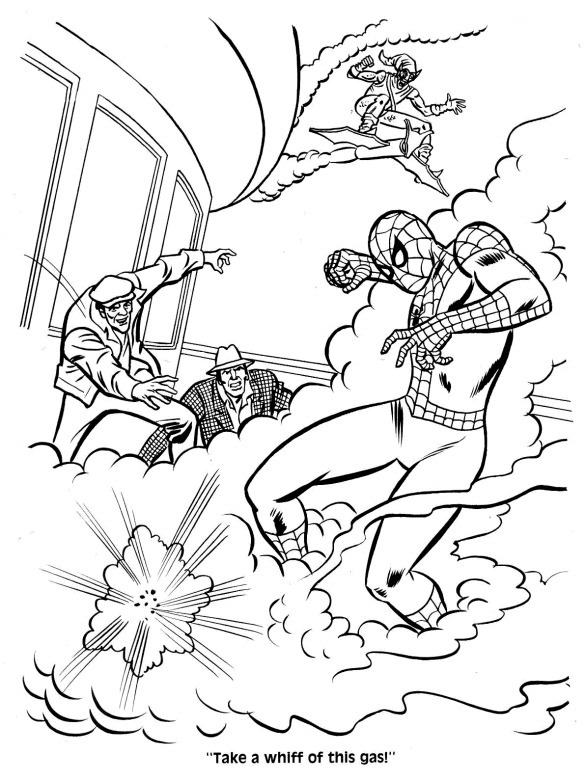 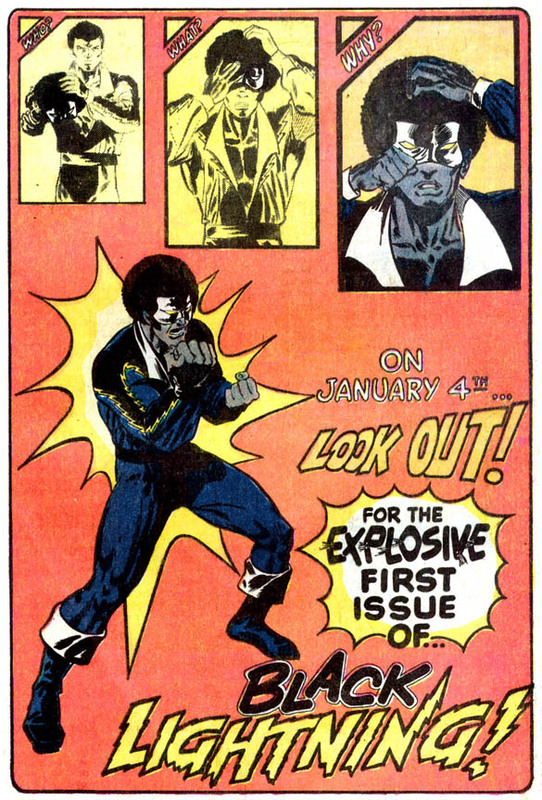 I do believe it's both the first and the last time National Comics would describe its flagship comic as "high-stepping!" 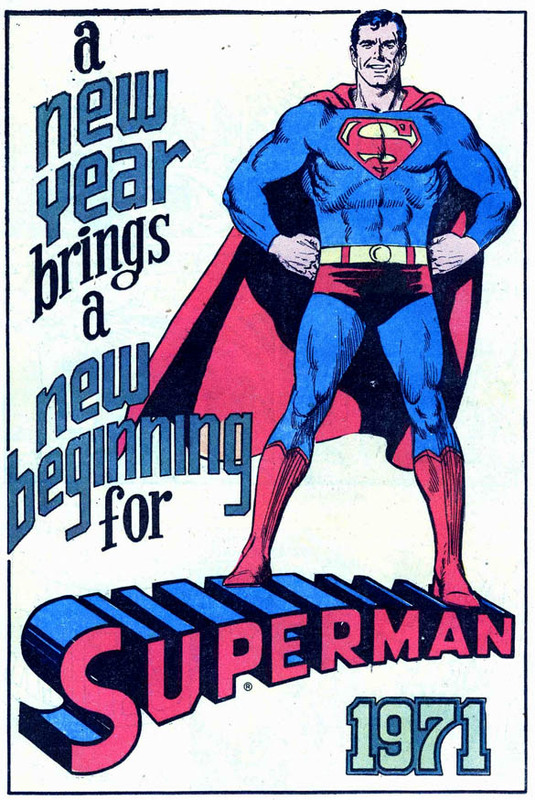 See ya tomorrow...and all year long for 365 Days of DC House Ads! 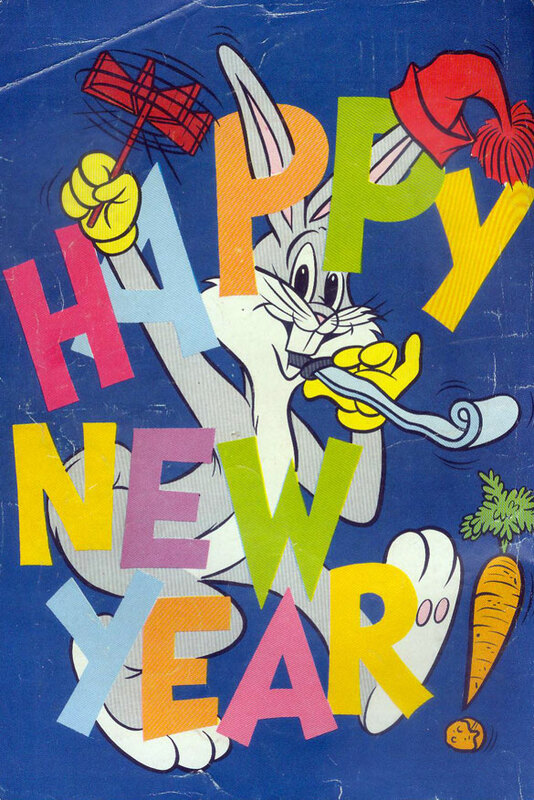 Here's hoping you have a 24-Carrot 2013! 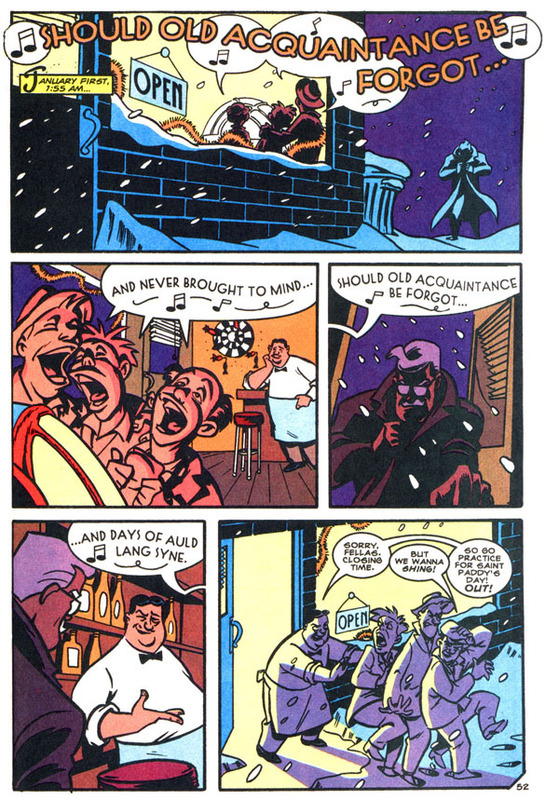 Today in Comics History: We now return to "A Luthor Family Christmas Special"
Oh yes. 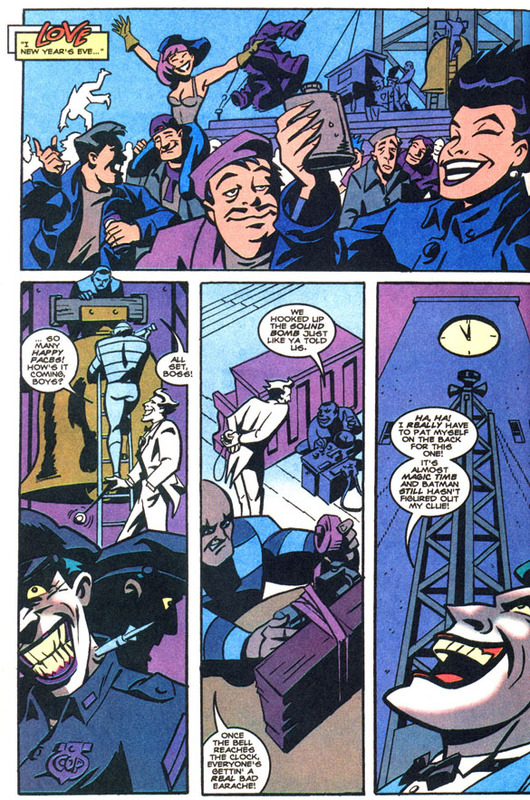 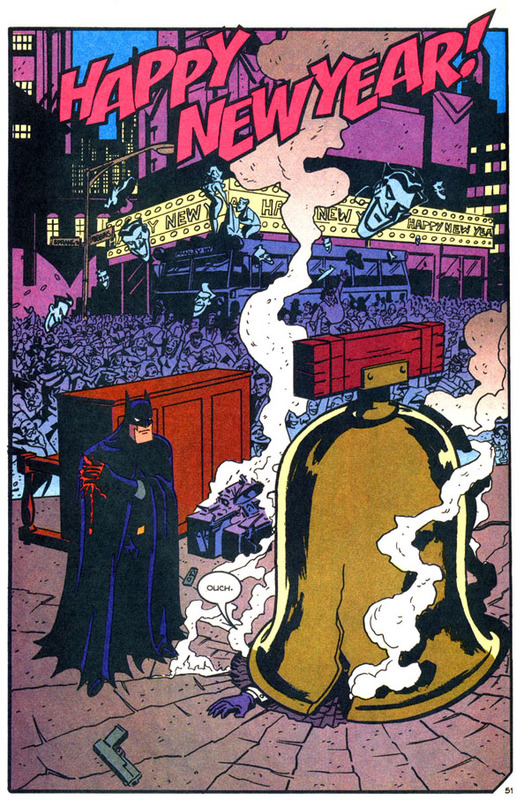 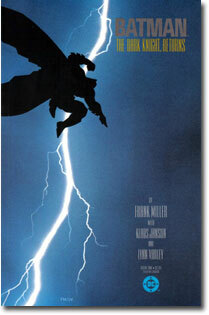 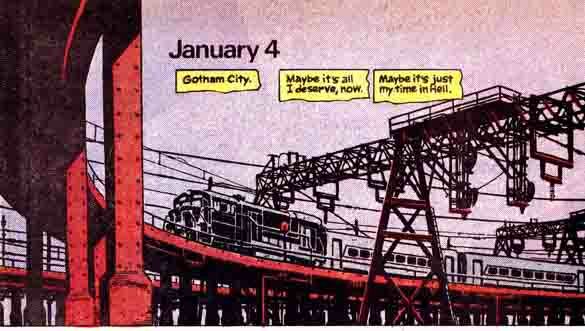 The Dark Knight, Frank Miller's now-infamous, endlessly influential uber-Batman, a grand opera on the printed page. 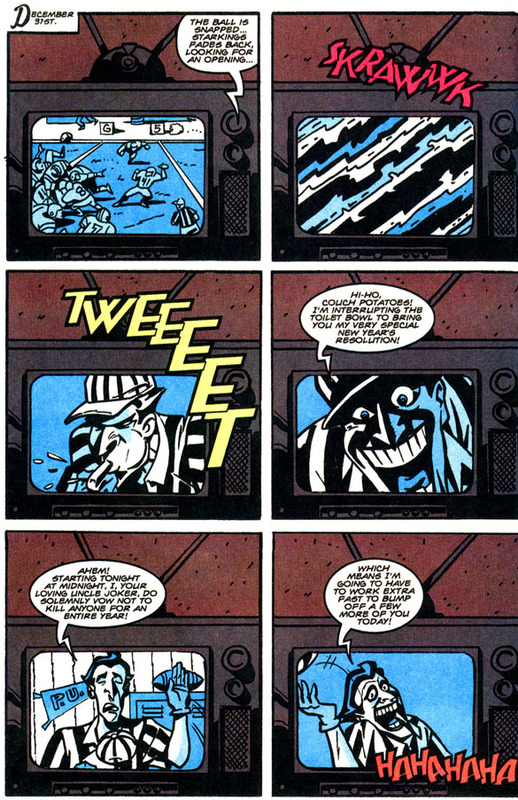 Why, I thought this was brilliant. 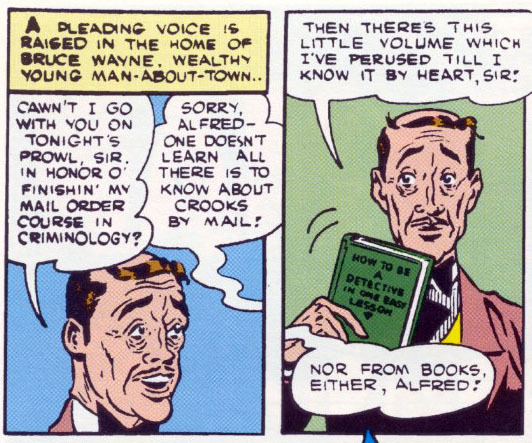 Altho' I didn't know it at the time, Alfred had been treated with a comedy touch before, but more in the manner of Nigel Bruce's Doctor Watson from the Sherlock Holmes film series. 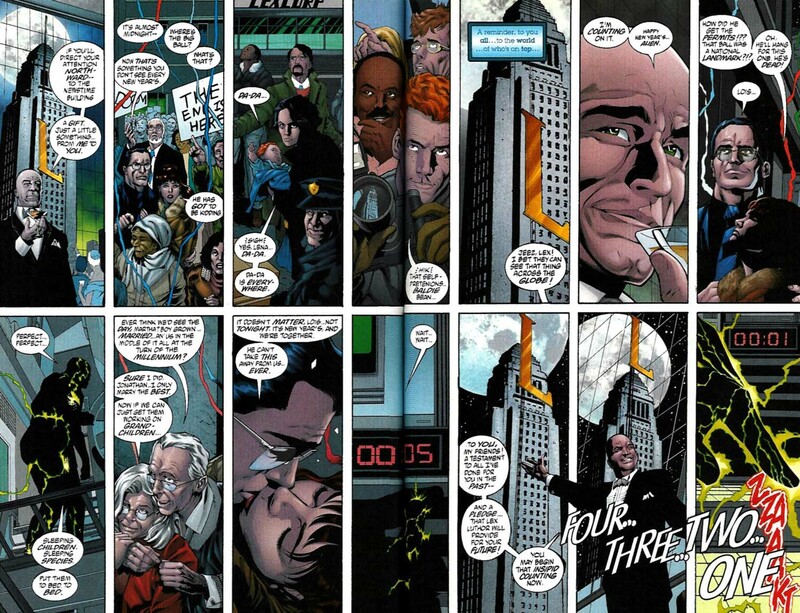 Alfred Pennyworth was never boring (okay, the Outsider storyline strained credibility), but he'd lost his luster and sparkle from the Golden Age, and here was a brilliant new take on the faithful retainer. 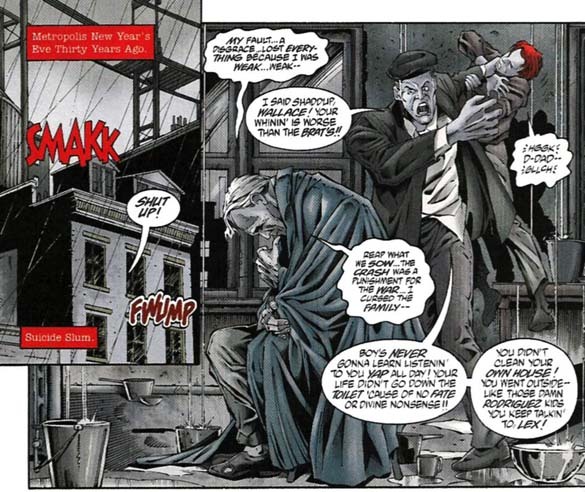 I think sometimes we forget how much we owe Frank Miller credit for the modern-day portrayal of Alfred: not only quick with a bandage and a sandwich, but with an exceedingly dry quip indeed. 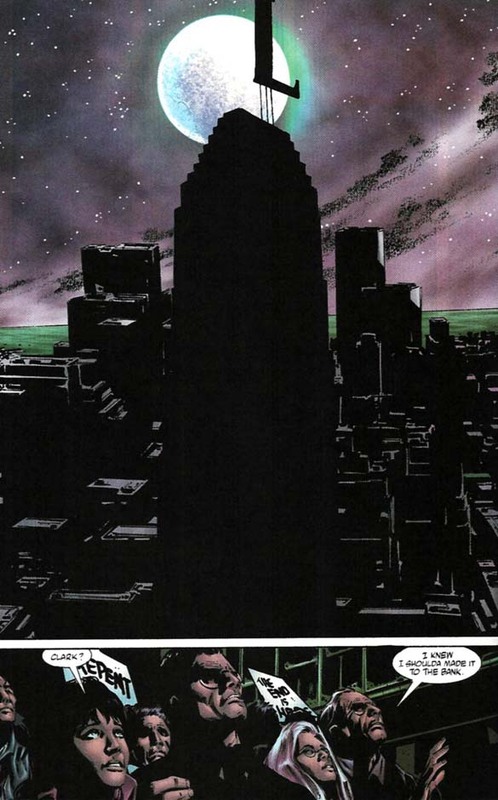 And altho' I hadn't read the vast majority of his appearances until this past year, I came to consider Alfred Pennyworth one of my favorite comic book characters. 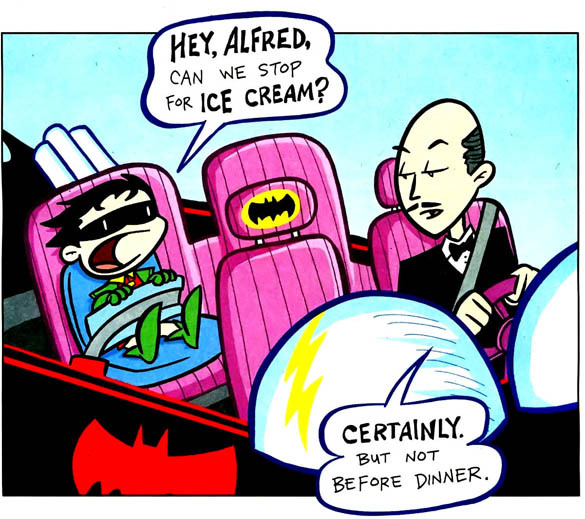 Except for the "Alfred is dead!" 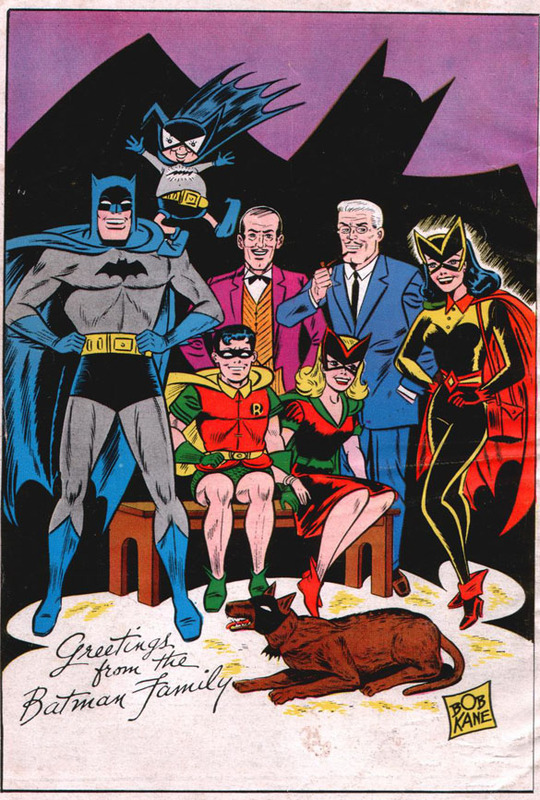 era and give or take a few leaves-of-absence with annoyance at Master Bruce during events like Knightfall, he's been a pretty constant figure in the Batcave and both Batman and Detective Comics...and indeed, any comic that regularly features Batman, like The Brave and the Bold, World's Finest Comics, Batman and the Outsiders, and, as Gilligan's Island would put it, "the rest." 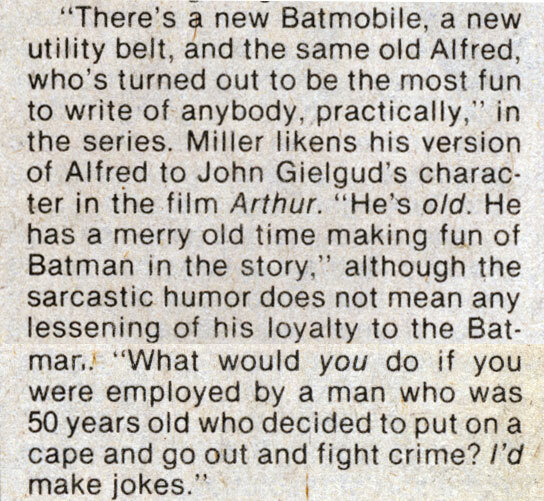 It took me only a little while, thanks to the wonder of reprints, that Alfred had once been quite a different character. 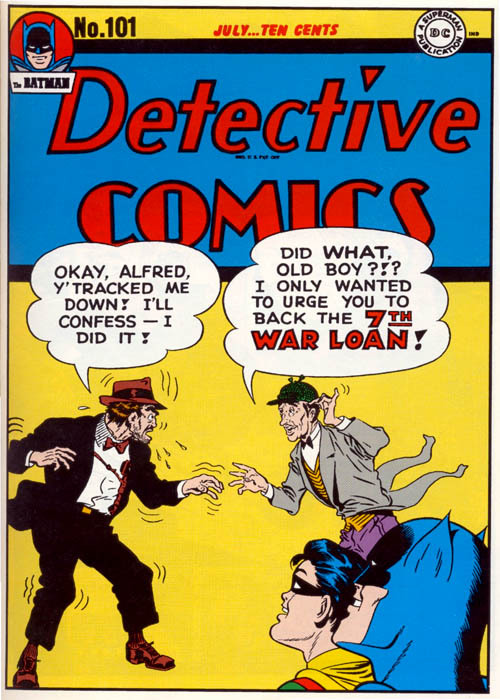 Golden Age Alfred Beagle: he wobbled but he won't fall down. 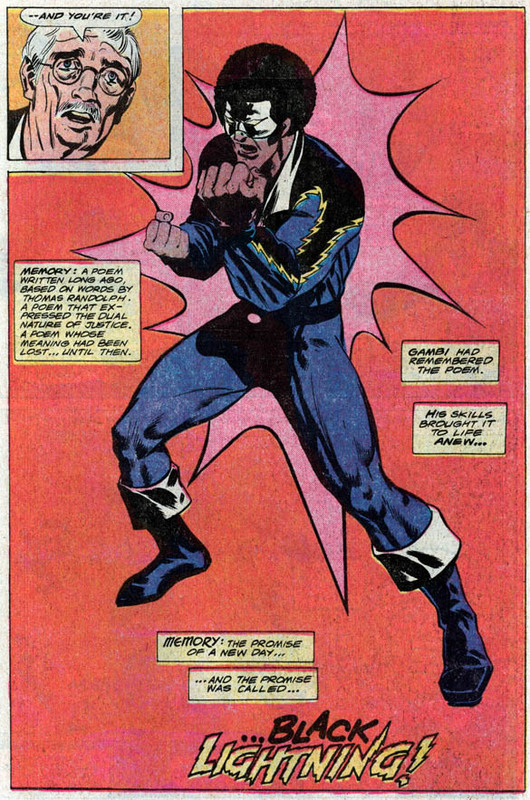 ...and he's probably one of the first non-hero regular supporting characters to appear with frequency on the cover of comic books. 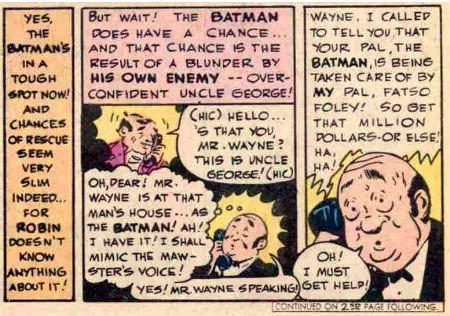 It's Alfred, not an orphanage or a Wayne relative (Golden Age Bruce had tons of 'em) who raises Bruce Wayne. 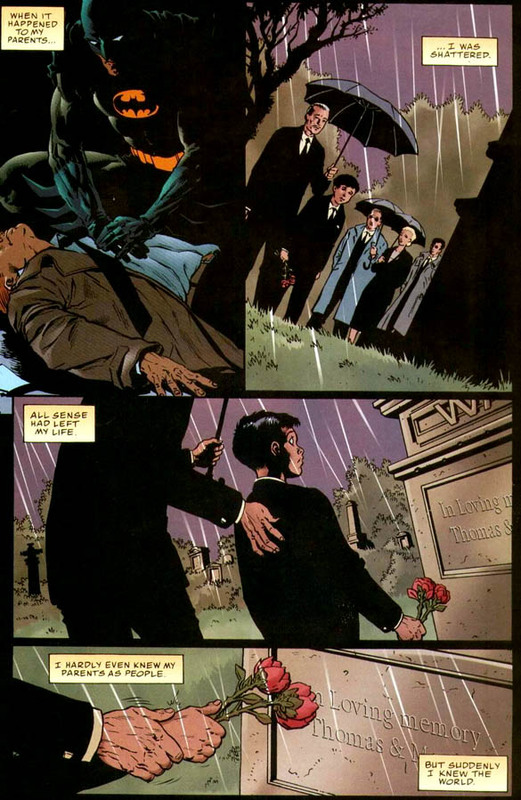 Yes, Bruce has always, will always love and revere his parents, but it is Alfred...surnamed Pennyworth once this story switch begins...who raises the boy, to the man, to the Batman. 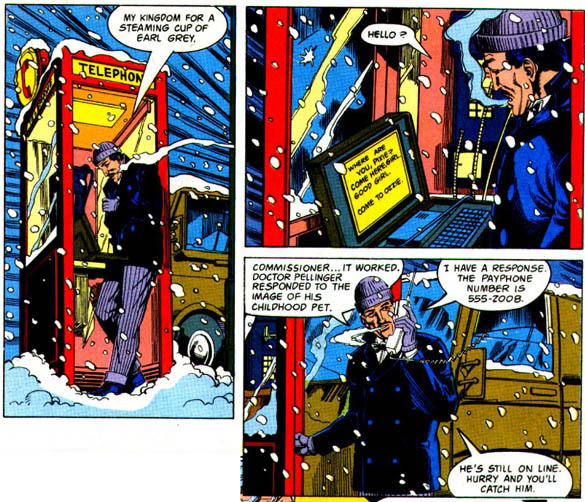 We see that Alfred is not just a dandy butler but an efficient and accomplished espionage agent, as suits his new backstory as World War II British agent. 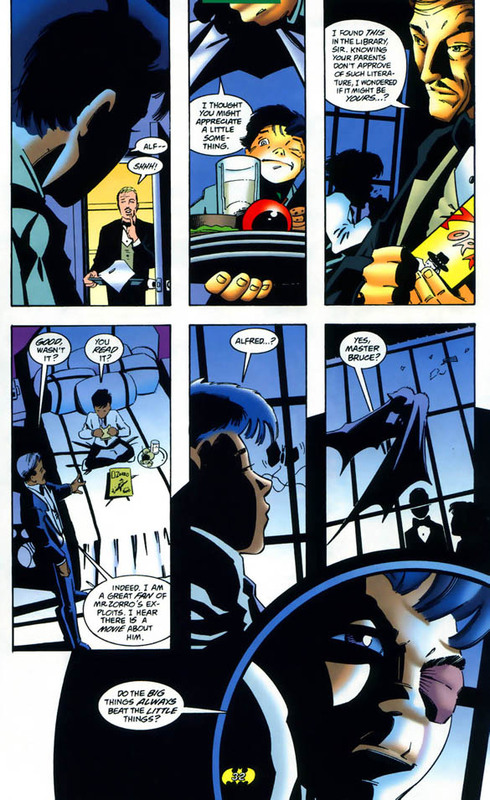 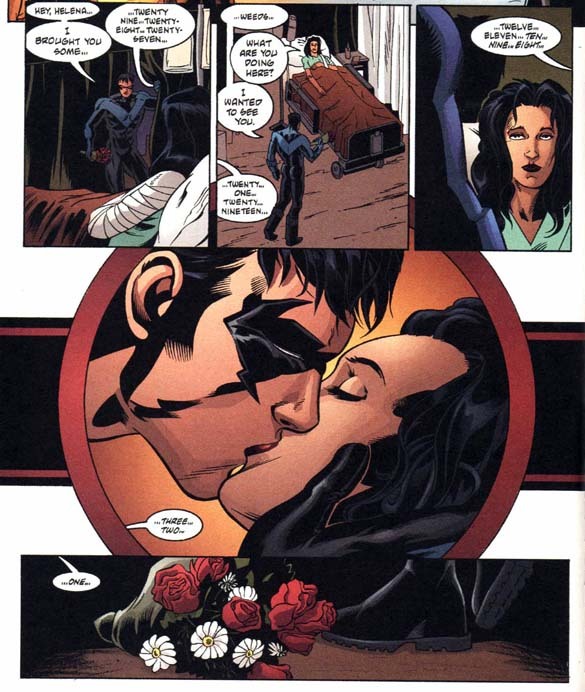 All of Batman's proteges from Jason Todd to Cassandra Cain benefit from his knowledge and skill, and he becomes one of the most respected persons in the DC Universe. 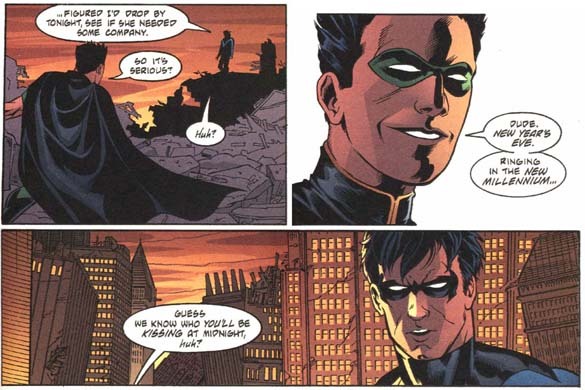 Who else in the DCU do such varying personalities as Batman, Superman, Wonder Woman and Booster Gold look up to with respect and admiration? 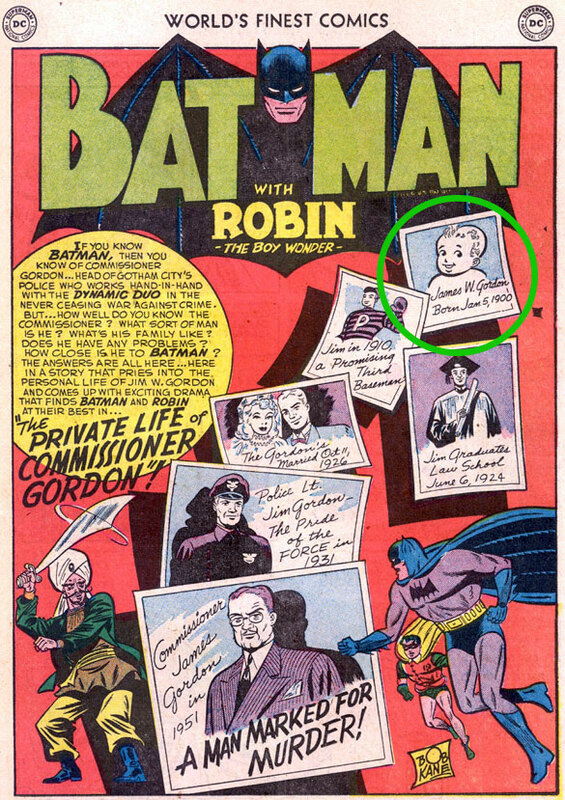 He's also been a television and movie star. 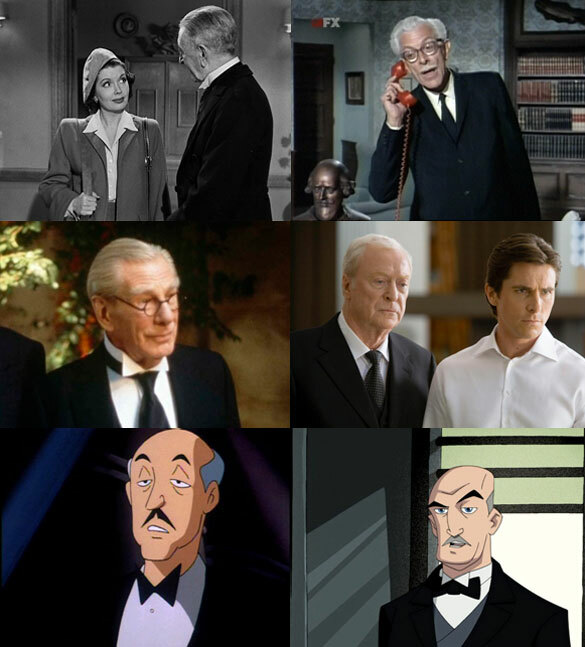 I think it's a credit that regardless of the quality of the Batman stars or script, an Alfred on the screen is always a treat, from Eric Wilton in the Batman serials to Academy Award-winning Greatest Actor in the World™ Michael Caine, and my personal favorite Alfred or all, the unflappable Alan Napier from the Batman '66 TV series. 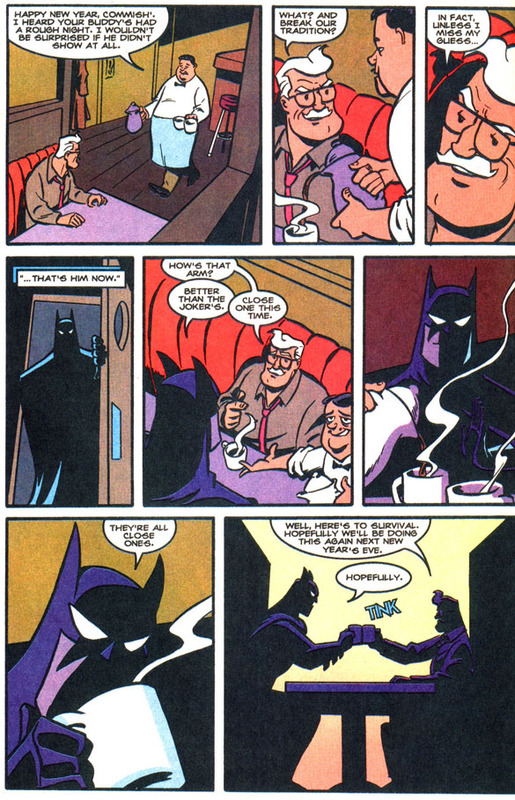 Even the much-ridiculed Batman and Robin movie contains a touching and effective series of scenes between Alfred and Bruce. 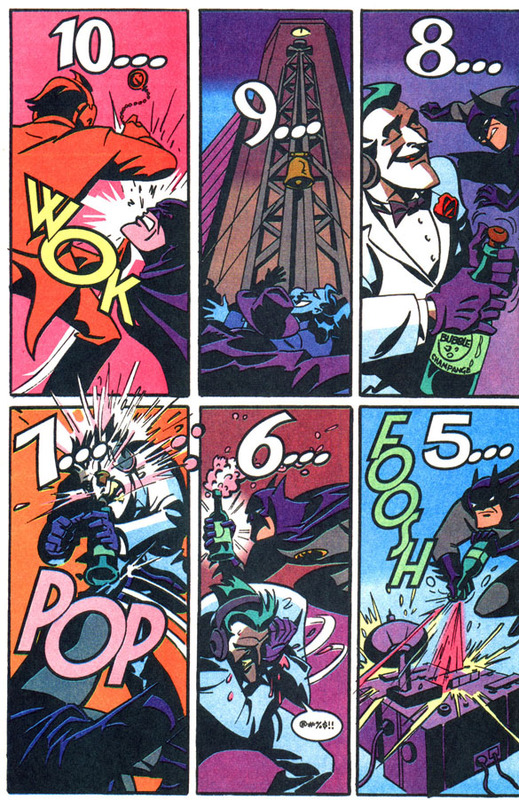 And Alfred gets the last word in that movie. I think it's pretty clear to all that I love Alfred Pennyworth. 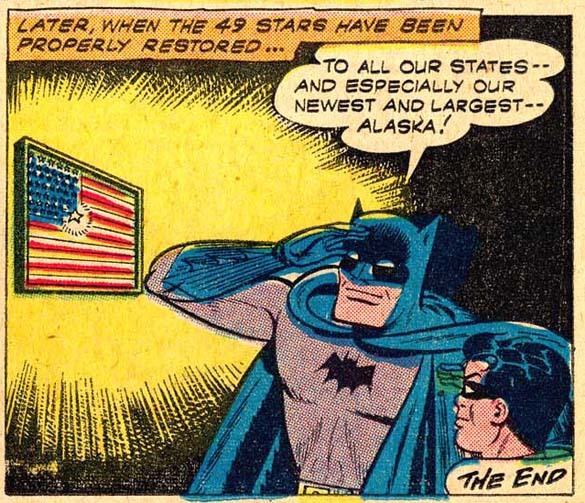 It's a credit to Bob Kane and Jerry Robinson's creation, shaped by so many Batman writers and artists, that he never seems out of character or out of place, no matter the story or style. 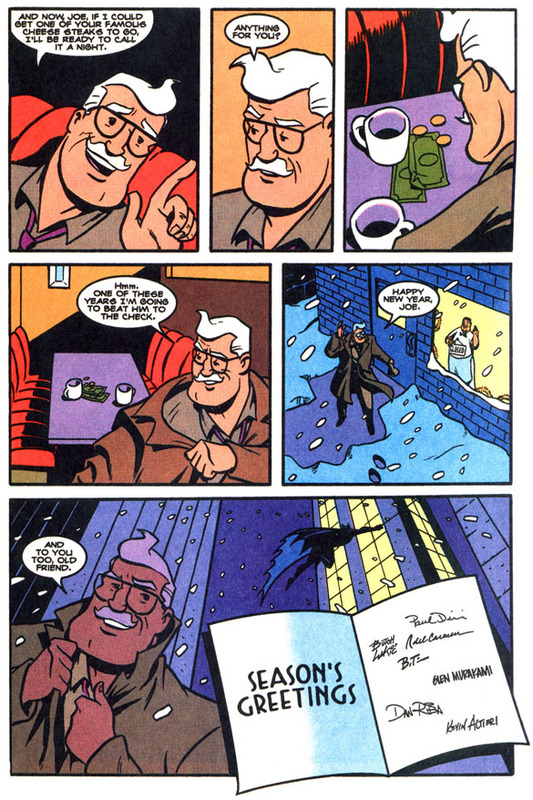 The testament to the timelessness of the character is best expressed, I think, in the Zero Hour story in which plump, detective-wannabe Alfred Beagle crosses over from another dimension to aid Batman and Robin. 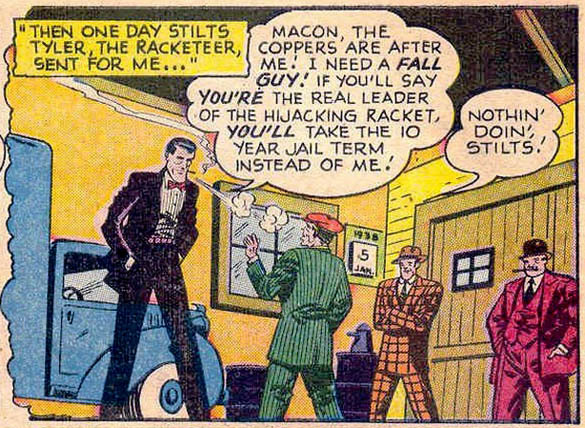 He's bumbling, yes, but once again he helps save the day. 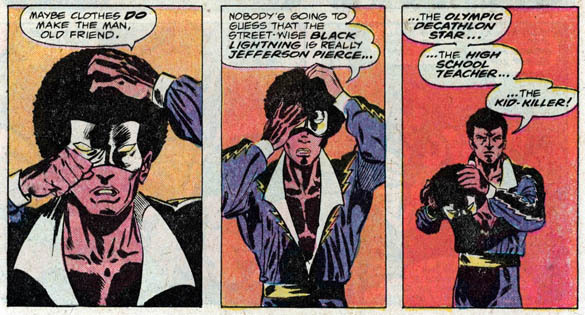 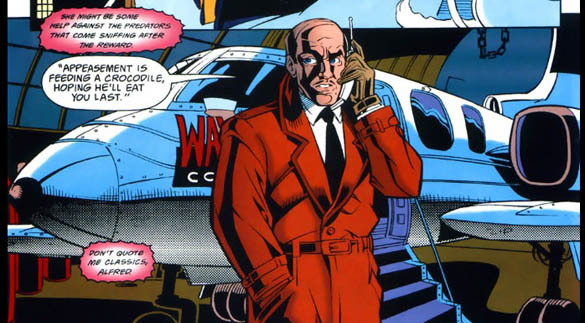 He's gone again within an issue, and never have I so sorely missed an Earth-2 character than reading that story. 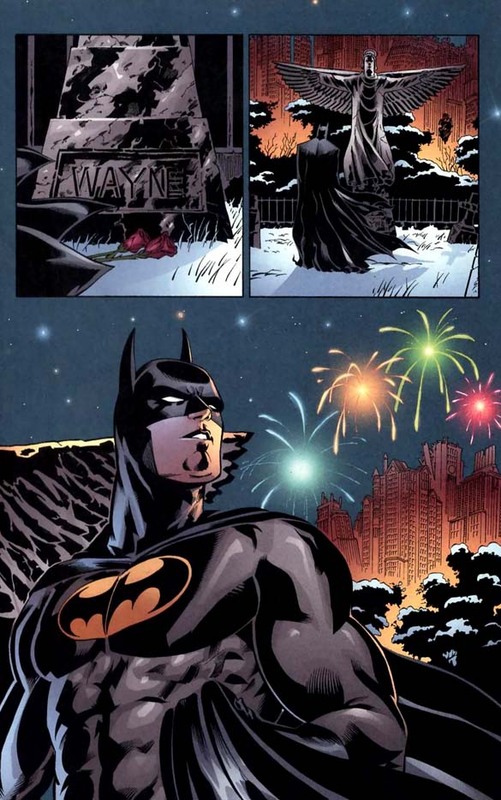 So, let's raise a glass of the Wayne family port from the very-well-kept wine cellar in a toast to Alfred Thaddeus Pennyworth. 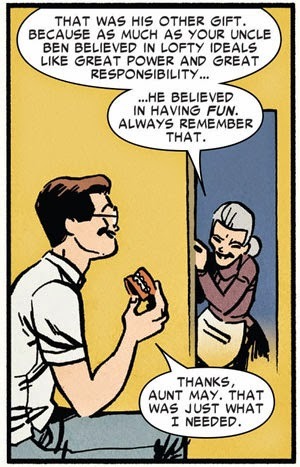 He's not just a fine gentleman's gentleman, he not even also a fine gentleman...he is a fine man. 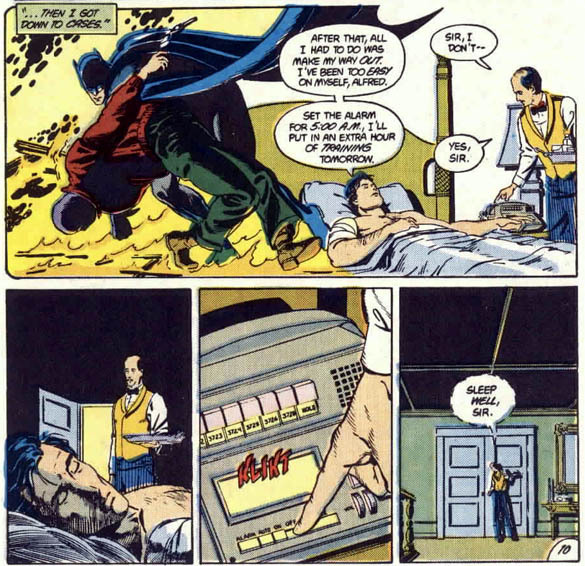 Where ever Batman's adventures take him into the future, I hope that Alfred will be right there, darning Bruce's costume, bringing him tea, and giving him the care of a friend and a father.